On Monday the Seattle City Council will vote on whether to acquire a one-fifth-acre property from Hugh Sisley, an infamous slumlord in the city’s Roosevelt neighborhood. The city has been doing battle with Sisley for years over code violations and unpaid fines at his deteriorating residential and commercial structures. Earlier this year City Attorney Pete Holmes put his foot down and declared that the City will seek payment for the fines and to publicly acquire at least one of them for a new park. The site is across the street from Roosevelt High School and is only three blocks from Roosevelt’s new light rail station, planned to open in 2021, and so could contribute to the growing and vibrant neighborhood in a variety of ways. King County has assessed the value of the parcel as just over $1 million, though that may differ from what the city pays in just compensation for taking it. 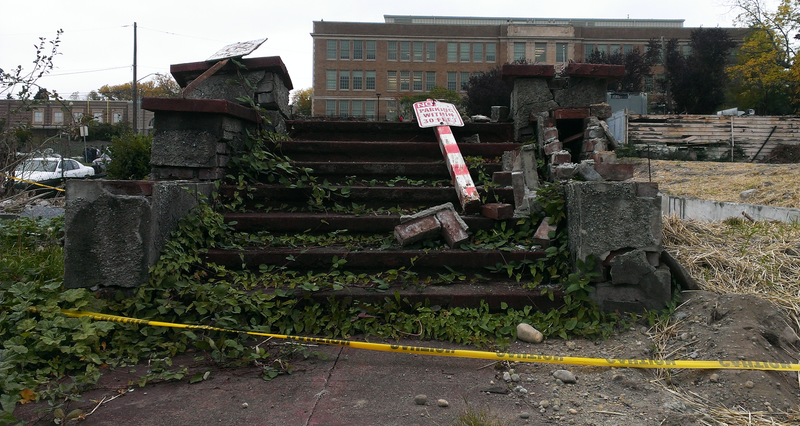 According to King County records, the 8,734 square feet parcel has apparently sat vacant for the past five years. It is zoned NC2P-65 (Neighborhood Commercial 2, Pedestrian Overlay, with a 65 feet height limit). The park department’s 2011 gap analysis found the Roosevelt Urban Village needs 1.26 acres of useable open space to meet a goal for the year 2024, and currently it exceeds that with 11.09 acres within and abutting the village boundary (a 9.83 acre surplus). The aforementioned green street on 14th Avenue NE has been planned since at least January 2013, when the city published a Roosevelt Neighborhood Streetscape Concept Plan (PDF). 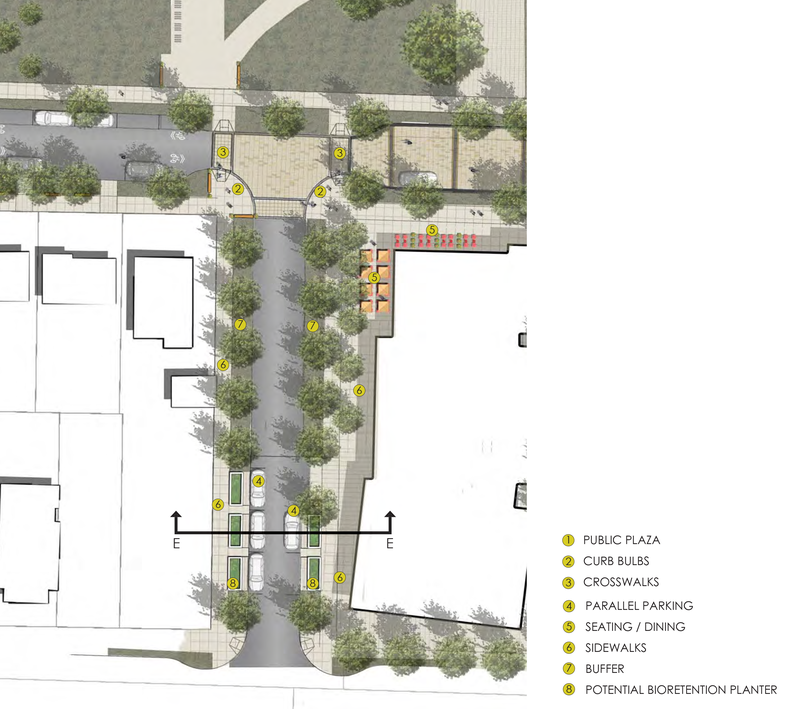 The one-block stretch of the street is envisioned to be rebuilt with leafy trees and large planters, and adjacent development would be expected to be set back from the street to provide space for seating and a public plaza. City Council District 4 candidate Michael Maddux, in an episode of CascadiaCast, suggested turning the street itself into a park and using the flanking Sisley properties to build affordable housing. Indeed, some have proposed using the properties for low-income housing instead. 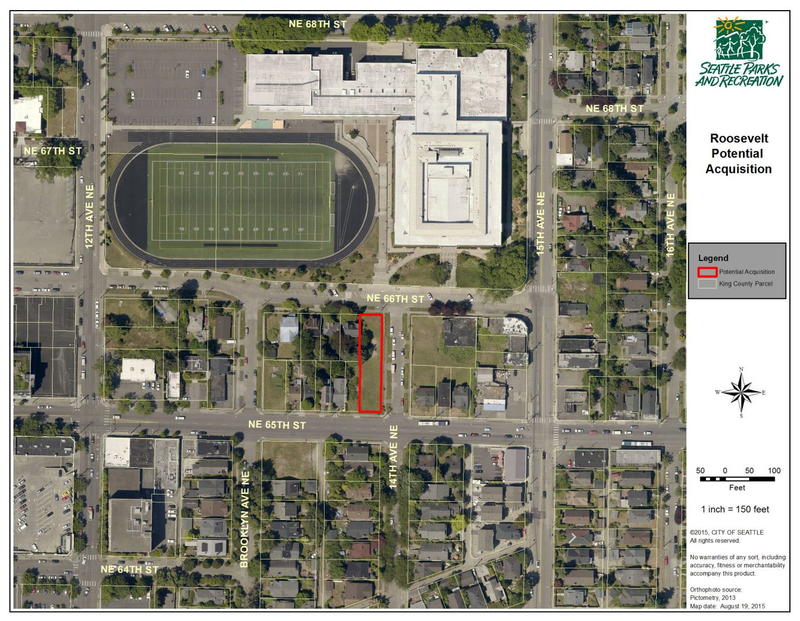 However, until the HALA policies are implemented, there’s little reason to expect that to happen on the site at 1322 NE 65th Street unless City Council suddenly changes course. Sisley recently sold another set of four properties, on the southern half of the block to the east, to Roosevelt Development Group. RDG paid off $3.5 million of Sisley’s fines, clearing the way for the company to develop those properties. Curbed Seattle reports tentative plans to develop a 225 unit apartment building there. Three of the four properties were demolished in September while an abandoned commercial building at the corner of 15th Avenue NE and NE 65th Street remains. 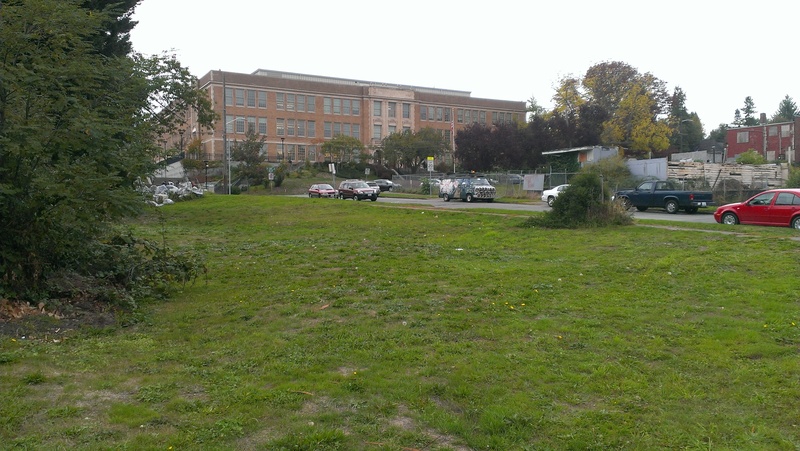 This entry was posted in Housing, Land Use, Parks, Public Space and tagged 14th Avenue NE, affordable housing, condemn, demolition, Ed Murray, eminent domain, fees, fines, green street, light rail, litigation, park, Parks Department, Pete Holmes, properties, property, public housing, Roosevelt, Roosevelt High School, Sisley, Sisleys, street, urban village. Bookmark the permalink.